Suddenly, however, Fonterra's forecast of a $6.75 per kilogramme of milk solids price for farmers this season looks in peril. 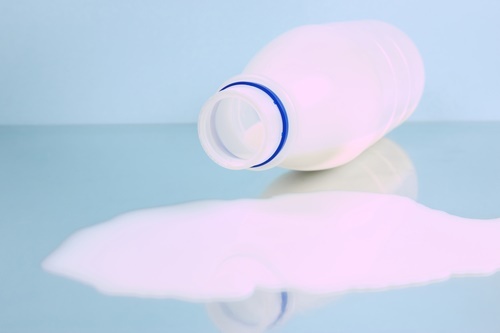 This follows a disappointing GlobalDairyTrade auction result overnight Tuesday in which overall prices dipped 2.4%, while the key Whole Milk Powder prices fell 2.7% to sit just above the psychologically important US$3,000 per metric tonne mark. ANZ rural economist Con Williams said the latest dairy auction "disappointed". "...It may now take more than a New Zealand production downgrade and reduced GDT volumes to hold the milk price at $6.75/kg MS."
However, the ASB economists, who took a bullish view of likely prices last year when others weren't optimistic, and were proven correct, retained a bullish view after the latest auction. "Although prices were off modestly overnight, we remain comfortable with our 2017/18 milk price forecast of $6.75/kg," chief economist Nick Tuffley and senior economist Jane Turner said. "Volumes sold at the event were the highest in over a year. We continue to see a risk that prices spike higher over coming months, if conditions for production don’t improve soon." ANZ's Williams said prices fell for all products, apart from cheese. "What was noticeable is that both the milk powder and milkfat curves were all in backwardation." This meant, he said that while there is still short-term supply-demand pressures, the market appears to be banking on a rebound in New Zealand supply and increases elsewhere (namely Europe). "In New Zealand, it’s still a little early to tell, with things on a knife edge and could go either way. "Pasture conditions remain very sodden in the North Island, but generally better in the South Island. "But equally last year’s poor performance through the seasonal peak for milk production would appear difficult to repeat. This is especially the case with farmers using more supplementary feed to maintain pasture quality, cow condition and fill feed deficits. So all eyes will be on the weather for the next month or so. "To us, last night’s auction really confirms that the only thing that has been holding WMP and butter prices up recently was short New Zealand supplies. "While Chinese demand has been solid, it hasn’t been spectacular. Other Asian and Middle East buyers have stepped up to the mark, but have struggled to absorb the higher GDT supply (Oct is peak). "All up, softer NZ production could still see a milk prices of $6.75/kg MS, but if not, it seems something around the mid-$6/kg MS is more likely," Williamson said. ASB's Tuffley and Turner said though that they believed despite the dip in prices there was potential for overall prices, particularly for WMP, to push higher over coming months. "Firstly, NZ weather has been poor (very wet) and production is reportedly back on last season in key regions at this juncture. Secondly ... global milk fat (butter) demand continues to surge, while supply struggles to keep pace." In the last five months of 2016, overall dairy prices, as measured by the GDT Index, had a stirring 55% rally. Since the start of this year prices have mostly traded sideways, with a bit of a slump between January and March followed by rises through into May. Overall prices now are, in US dollar terms, 2.4% below where they finished at the end of 2016. WMP prices have been somewhat more volatile than the average across all dairy products. They've now slipped 8.3% from their 2017 highs seen in May. The WMP prices are now 14.9% below what they were at the end of 2016. Butter has enjoyed superstar status this year, surging over 40% compared with its prices at the end of 2016. Even with the fall in this week's auction, it is still 36% higher than it was at the end of 2016.